While many of us associate this time of year as the season of giving, countless scammers see it as the perfect time for taking. Fraudsters and scammers love taking advantage of others during the holiday season. Sadly, spending our days shopping, volunteering and doing kind things for others often makes us less aware and makes us easy targets for criminals. As always, it is important to stay alert, but sometimes that is easier said than done – especially since scams are becoming increasingly advanced. Here are a few ways to avoid scams and fraud this holiday season (and throughout the rest of the year) from the security experts at Colorado Security Products. We’ve said it many times, but it is always worth mentioning: Always pay attention to your surroundings. Criminals look for easy targets, and if you are lost in your cell phone or distracted by something else, you make yourself an easy victim. Keep track of your purchases and possessions, and pay attention to what’s going on around you. If something doesn’t look or feel right, remove yourself from the situation. You may also want to avoid using ATMs whenever possible and even skip using your card to pay at the pump when you fill up your gas tank. Card skimmers are common, and they allow scammers to steal your information and gain access to account. 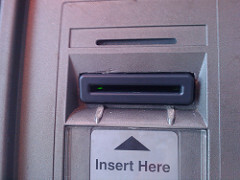 If you do need to use an ATM or pay at the pump, inspect the card reader carefully. Don’t insert your card if anything seems unusual. If you’ve decided to skip the crowds and avoid the long lines by ordering gifts online this year, that doesn’t mean you’re off the hook. Cybercriminals love the growing number of people who turn to the Internet to do their shopping. Creating bogus websites is a favorite tactic of scammers. These fake sites often look almost identical to the real thing, and they exist for the sole purpose of stealing your information or selling counterfeit products. Make sure the sites you visit are legit. Never enter your personal information on a website unless you see a green padlock and “https” in the address bar. Also, remember that if a deal seems too good to be true, it probably is. Beware of any deal seems too good, especially when purchasing from an unknown retailer. Don’t click on suspicious links, and don’t purchase anything without doing some research on the company you are ordering from. Lastly, keep a close eye on your accounts. Check your bank or credit card account regularly to make sure there are no unauthorized charges. If your spot anything suspicious, contact your financial institution right away. In most instances, protecting yourself from scams and fraud is just a matter of common sense personal security. Unfortunately, the hustle and bustle of the holiday season often causes us to let our guard down. By keeping these simple tips in mind, you can enjoy the season without falling victim to a scam. If you need help with commercial or residential security this holiday season, contact the experts at Colorado Security Products.